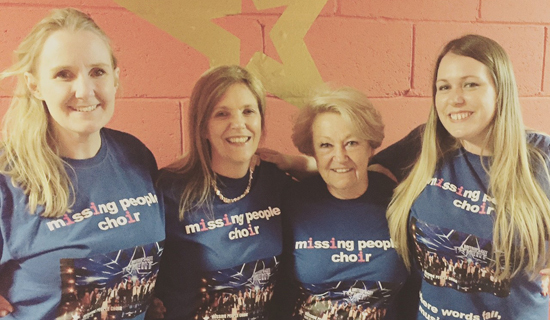 Emma joined the Missing People Choir after receiving support from the charity whilst her mother was missing. 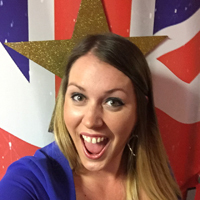 Here she describes her whirlwind experience of BGT and her personal journey with the choir. I have been singing with the Missing People choir since it began in 2014. I’ve always loved singing and when I went to my first Missing People carol concert at St-Martins-in–the-Field the year my Mum was missing - it made me want to join a choir. It felt like synchronicity when Clare got in touch with the idea soon after and I jumped at the chance to be part of it. It’s amazing to be able to use one of my passions to help Missing People after all the support they have given me. I wasn't convinced that I wanted to do Britain's Got Talent when the opportunity first presented itself. We had only performed at intimate venues full of supportive people; so I was nervous about doing our biggest performance yet in a setting where we would be judged. 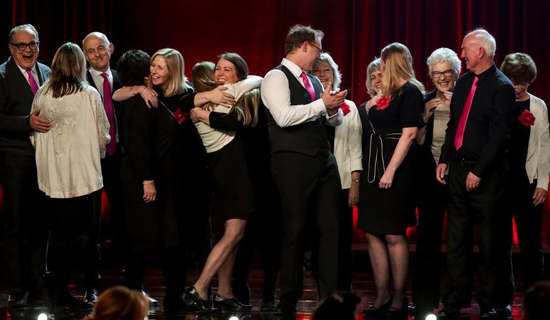 It was only when my fellow choir member Denise said she would do anything to find her son Charles that I knew we had to do it for the missing and their families. I loved every second of our audition at the London Palladium. I was so scared before going on stage and almost couldn't feel my legs! Then we had the reaction we did and it was utterly extraordinary. To have a standing ovation from the 2,000 plus audience and the four judges, including their wonderful comments was one of the best moments of my life. When the audition show aired I don't think it conveyed the true extent of the positive reaction and non-stop cheering we received. I don't think any of us were expecting we would get as far as we did. Once our audition aired the reaction from the public was incredible too. Everyone got behind the choir's message and purpose. It was phenomenal to see our objective had been met. As well as being exciting it was also emotionally challenging as I was reliving my mum being missing. It was a real conflict of emotions. Aside from my supportive choir members, what really helped was being led by Clare and Jim. They are incredibly talented, passionate, patient and so driven by the purpose we stand for - it makes us want to work harder. The moment we got through to the final was the best feeling. 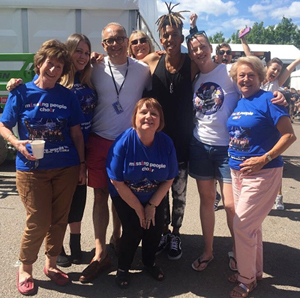 There are so many wonderful memories – from Diversity's Ashley Banjo saying he was a fan of the choir to Simon Cowell congratulating us backstage after our final performance. The most special thing of all though is how close we all are as a choir. We laughed, we cried, we hugged, we sang our hearts out and we gave it everything we had. I was personally disappointed we didn't place higher than 8th. But when new information and leads came through and a 13 year old boy was found because of our performance it felt like we had won ten times over and I was reminded of why we did it all in the first place. 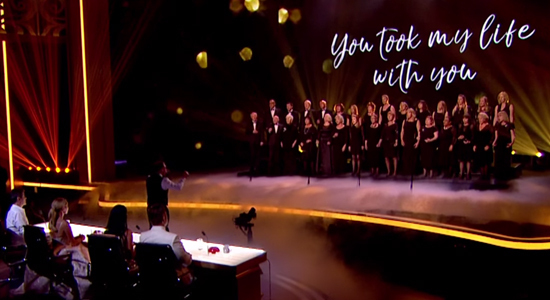 I'm very proud of everything we achieved and I am so immensely grateful to everyone who voted for Missing People Choir on Britain's Got Talent. If you have a missing loved one and would like to know how you could get more involved with the charity, visit our website for more information or get in touch.